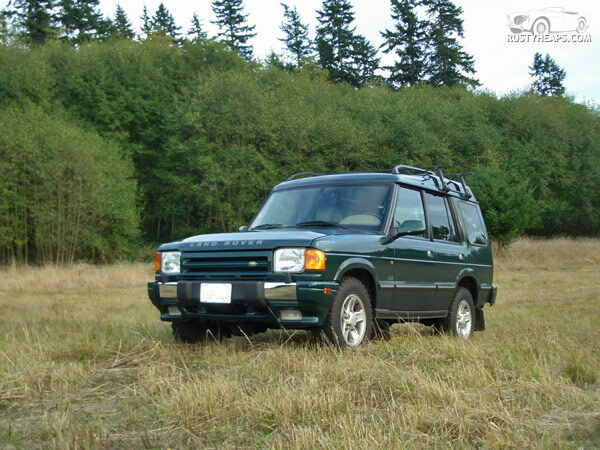 This is my “new” Discovery…it has 107,000 miles, but all in the hands of the original owners, who seemed to take care of their machine. More or less. It has a slight ding to the rear bumper. The LSE used a chrome version of the regular bumper. $1250 to replace. The normal black item is $250. I’ll probably be living with it for awhile. The only glitch so far was dicovering that the plastic fill plug for the radiator (cost: $1.50) was broken off by the last shop to work on the car, and just sort of left in place. Because of that, I was more than a quart low on coolant, and the heater had zero fluid in it. I replaced the plug with a 69 cent fitting from the local hardware store, and it seems fine now.